Breakfast: As you may know, I am not an early person. Today came too soon. 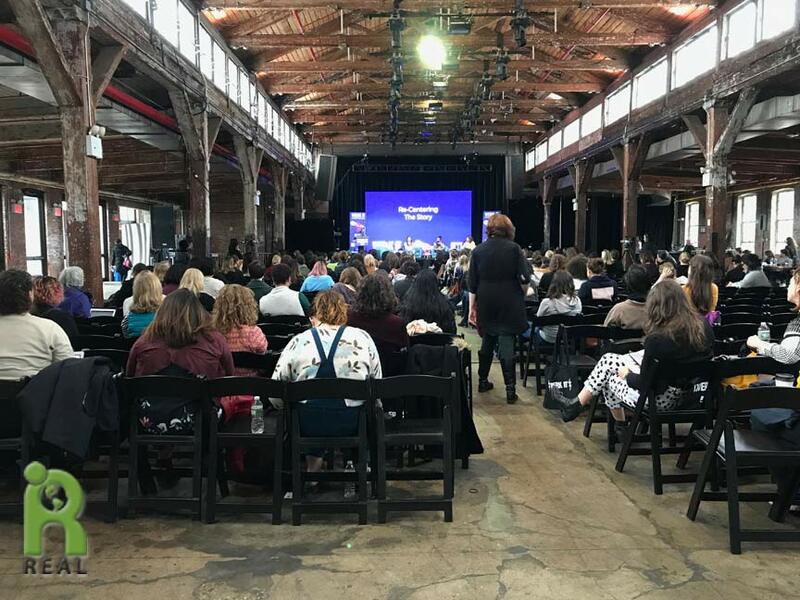 I had to leave at 8am the latest to get to the Werkit 2018 Women’s Podcast Festival at the Knockdown Center in Maspeth, Queens. There is no direct public transportation to this location so I splurged and took a Lyft ride there. It was raining and there was lots of traffic. I got there by 9am just before things got started. I made myself a cup of Chamomile tea and ate an Apple I had brought with me. Lunch: The presentations have been excellent and it’s getting me to think about the things I can do to improve my podcast, It’s All About Food. Lunch was included, a rice bowl and there was a vegan option. 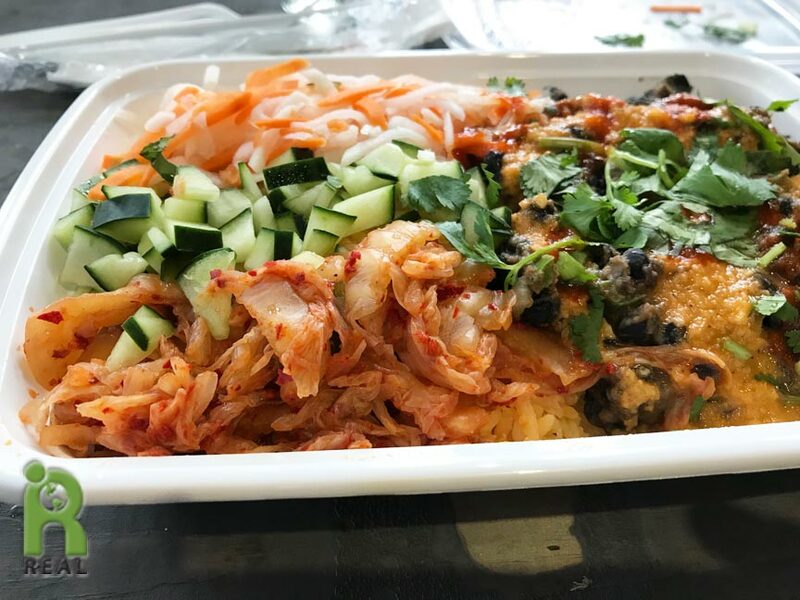 It was spicy and came with White Rice, Kimchi, Cucumer, Radish, Carrot and Black Beans. I found it very satisfying. I sat at a table with five other women to eat my dish and discovered two of the other women were vegan. I like these odds! The Knockdown Center is a cool space. Dinner: I met my friend Marjorie for dinner. She had invited me to this conference and I am glad she did. I suggested we meet at Wild Ginger since it was near her hotel. 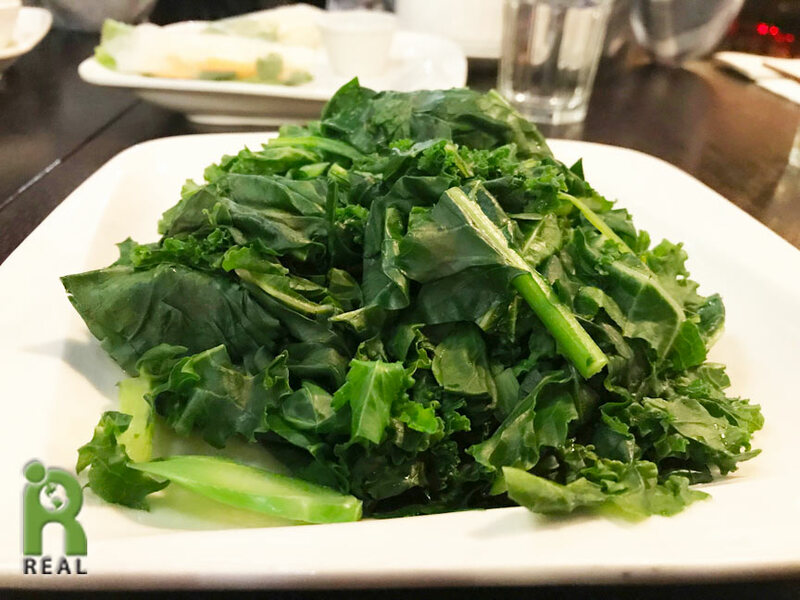 I started with Steamed Greens. 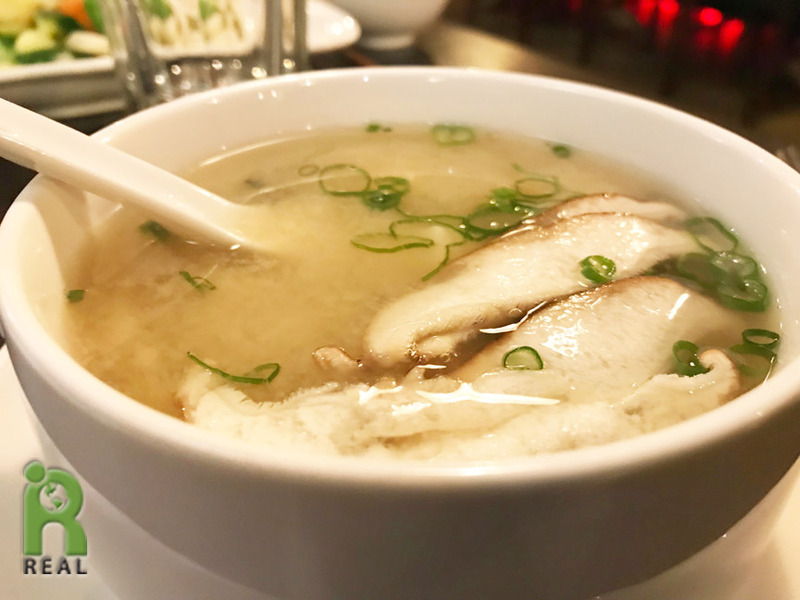 Next, I had a cozy cup of Miso Soup. 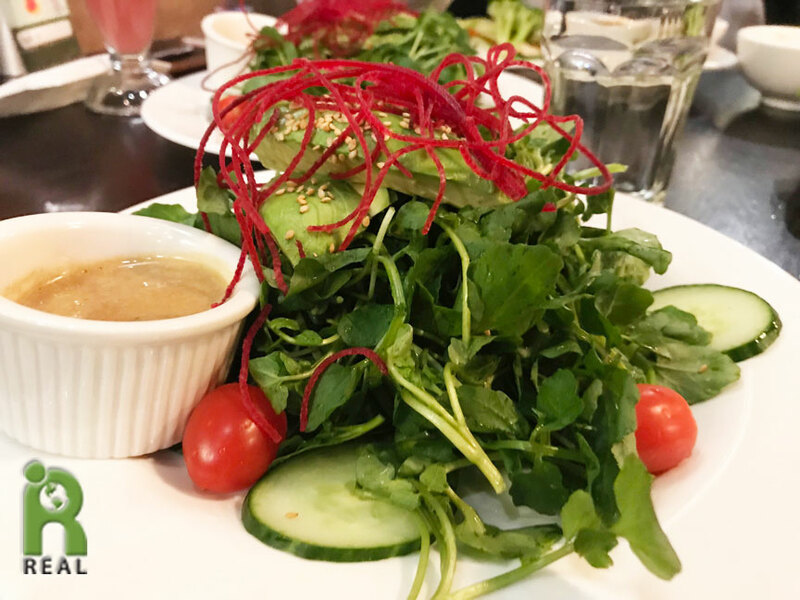 Last but not least, I had a Watercress Salad. More restaurants should have watercress on their menus. It’s delicious and so nutritious. 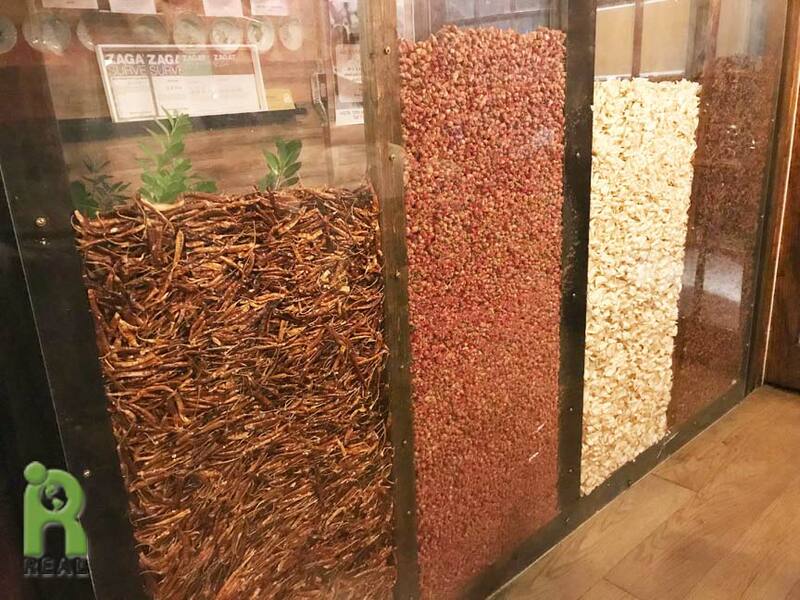 When we were leaving the restaurant we noticed one of the walls consisted of glass panels filled with dried foods. I have no idea what they were but it’s a fun and decorative idea. Evening: Back at home, tired and wired, I ate some Halloween Candy; a mini Ocho Coconut Bar and a Peanut Butter bite. 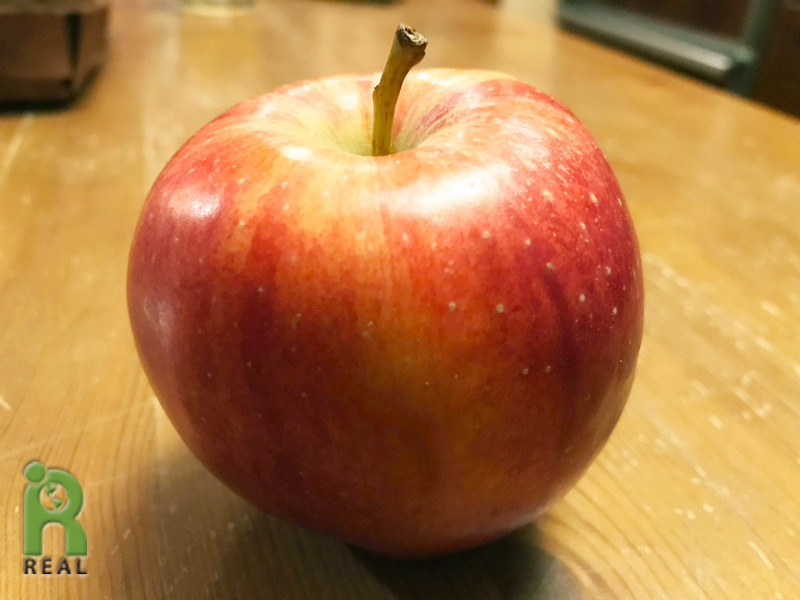 What I was really craving was an Apple. So I had one.